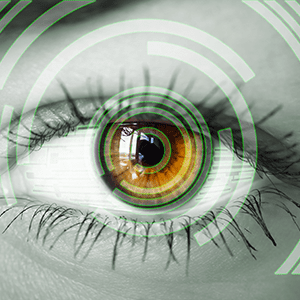 Get the next generation in custom LASIK treatment, 500% more accurate than any custom platform that existed before. The SMILE procedure could be your solution. Get a consultation with Dr. Fox and find out if you are a candidate! "Dr. Martin Fox is extremely talented at his craft. I would entrust my eyes to no other." "Dr. Fox is always on top of his game. Him and his staff are simply the best!" "If you are thinking about getting Lasik, Dr. Fox is your guy!" "Dr. Fox is extremely thorough and caring. Best Ophthalmologist around!" The leader in Kamra in New York and one of the most experienced in the country in Kamra Vision. 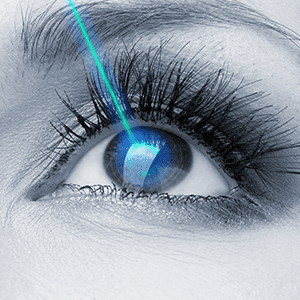 We are the only practice that offers custom iDesign Lasik which is 500% more accurate than any other Lasik. Only New York specialist to use laser-assisted corneal transplants, which offer faster recovery & better vision. Dr. Martin L. Fox is a cornea fellowship trained refractive specialist who has gained a local and national reputation of excellence, experience, and expertise in the most modern refractive surgical procedures including iDesign Custom LASIK as well as ICL (Implantable collamer lens) surgery as well as the advanced surgical care of Keratoconus including Intacs Intrastromal rings, collagen cross linking, and laser corneal transplantation (IEK). He is a national leader in the field of KAMRA corneal inlay surgery for the elimination of reading glasses. He has been instrumental in the introduction of every major advance in refractive surgery over the last twenty years and has contributed to the field through his writings, educational endeavors and innovation in instrument design and techniques. His ongoing practice remains a devotion to providing our patients with only the very best in medical expertise and the latest in technological advances in the correction of vision problems and the maintenance of ocular health. His mission will always be to provide our patients with continuing excellence in advanced care. Dr. Fox is the chief of refractive surgery at the Laserfox Cornea and Refractive Surgery Practice of New York, as well as at Clarity/TLC Refractive Services in West Orange, New Jersey. In these roles, Dr. Fox provides innovative technology backed by the latest science, and he offers you the most up-to-date refractive procedures, as well as solutions for corneal and external disease issues. Dr. Fox is an honors graduate of Colgate University in Hamilton, New York. He received his medical degree at Hahnemann Medical College in Philadelphia, where he was elected to the Alpha Omega Alpha Medical Honor Society. Following a residency in ophthalmology at Boston University Medical Center, he completed a fellowship in cornea and refractive surgery at New York Eye and Ear Infirmary, where he’s still a member of the corneal staff. Dr. Fox is a fellow of the American Board of Ophthalmology, the American College of Surgeons, and the New York Academy of Medicine. In addition to his television work, Dr. Fox has been featured in “Elle” magazine and “W,” and New York Magazine and the Castle Connolly Guide have selected him as one of New York’s best refractive surgeons. Dr. Fox is a caring and devoted patient advocate, committed to providing friendly, personalized, and state-of-the-art surgical care. He’s a passionate surgeon who sees refractive surgery as an art that requires individualized attention and customized care. LaserFox | What Is Kamra Inlay & How Does It Work? Actress Julianne Moore couldn't see across the room without her glasses. Learn more about what Dr. Fox did to improve her quality of life and the lives of many other celebrities. A career in the arts is a struggle, so why struggle with unwanted glasses and contact lenses that negatively impact on performance? KAMRA inlay is a safe, FDA approved, technology that provides clarity and comfort. Don't wait another day to enjoy glasses free reading. Learn more about what KAMRA inlay is or call now to set up an appointment. 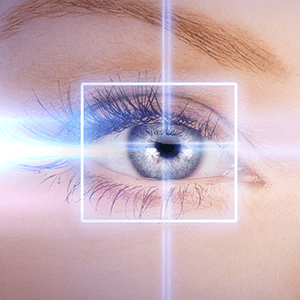 The latest new technology in refractive surgery is here! If you have been hesitant about having LASIK you may want to learn more about the SMILE procedure. Get a consultation with Dr. Fox today! Dr. Fox is the medical director of the Clarity Refractive Center. Click below to learn more.